Apple's iPhone 6 and 6 Plus have propelled the company to the top of the smartphone sales charts in China, a report published Wednesday suggests, knocking off former top dog Samsung and besting every domestic Chinese firm in the fourth quarter of 2014. The report, from market research firm Canalys, did not provide details or give any indication by how much Apple may have pulled ahead. Xiaomi is said to have come in second, with Samsung in third and Huawei in fourth place. Canalys's analysis runs counter to that published last week by Counterpoint Research, which placed Apple in a fight with Lenovo for the runner-up slot behind Xiaomi with 12, 13, and 18 percent of the market, respectively. In that survey, Samsung finished fourth with just 9 percent. Either way, China has undoubtedly become the new battleground for industry dominance. Samsung's recent financial decline was caused largely by a slide in sales to China, previously its largest market, as the South Korean firm is squeezed by Apple on the high end and competitors like Xiaomi on the low end. 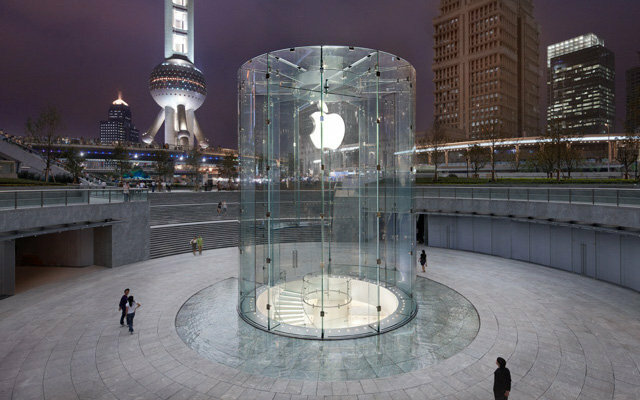 Apple, in comparison, is believed to have sold more iPhones in China than in the U.S. during the holiday quarter. The company is also in the midst of a major Chinese retail expansion, opening 4 new stores in the next 3 weeks and planning a total of 25 more outlets by the end of 2016.